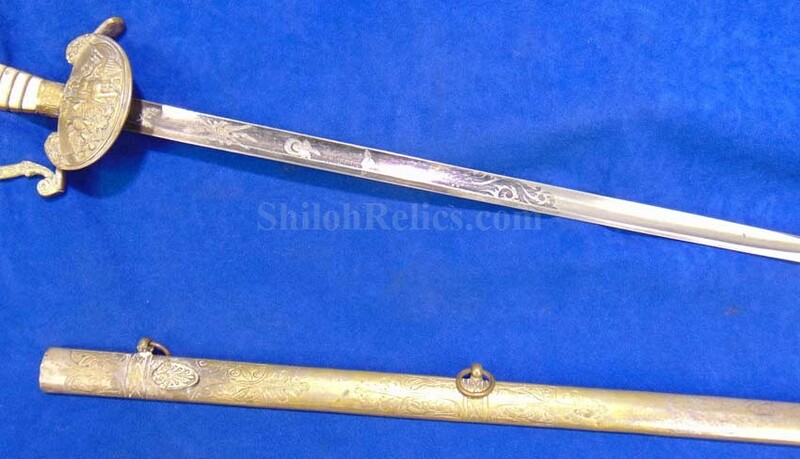 This is a beautiful version of sword. 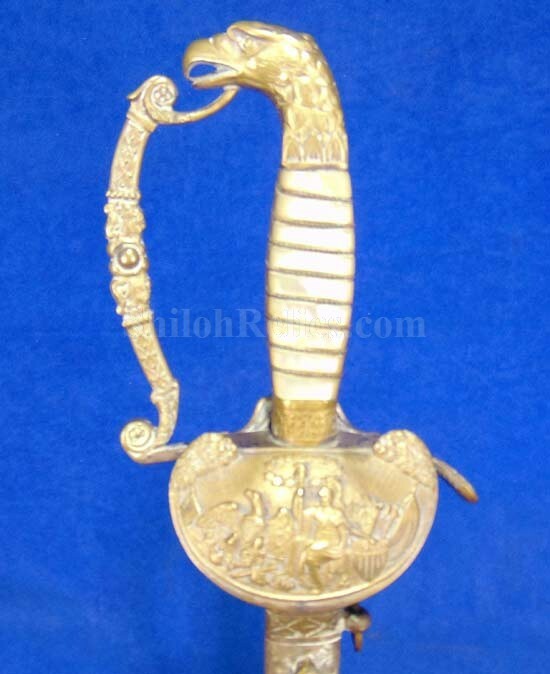 This is the beautifully designed sword that is know to collectors as the eagle pommel sword. 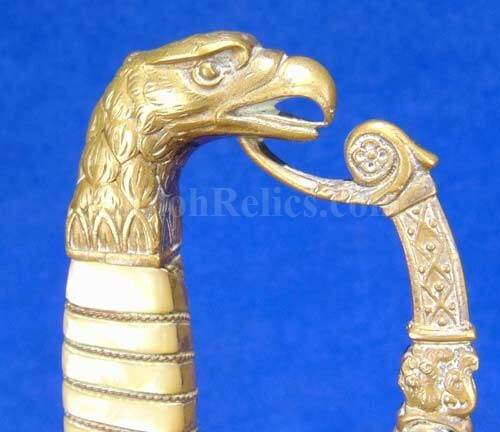 This one has the highly detailed Eagle head pommel which is the part of the sword that holds the blade to the grip. 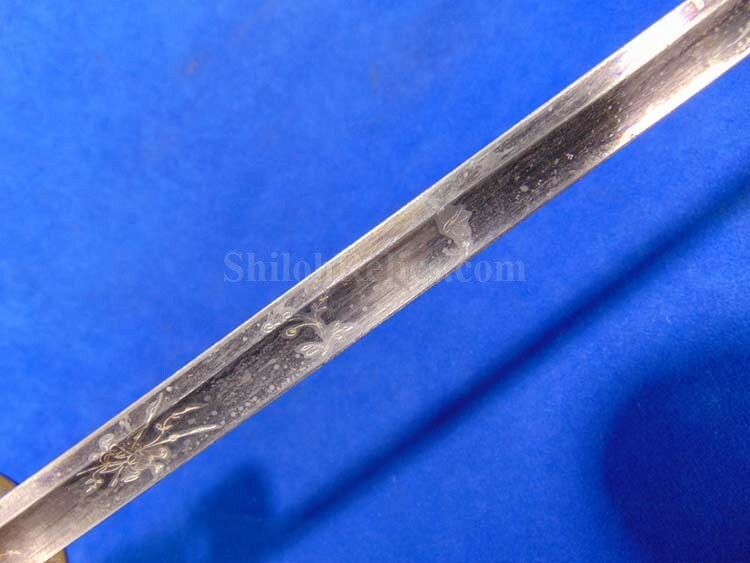 What makes this one really stand out is the clamshell design on the crossguard. 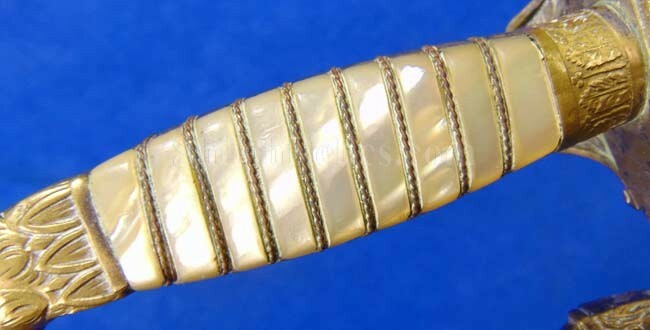 If you notice, this one has the lion head on each side of the top of the clam shell. 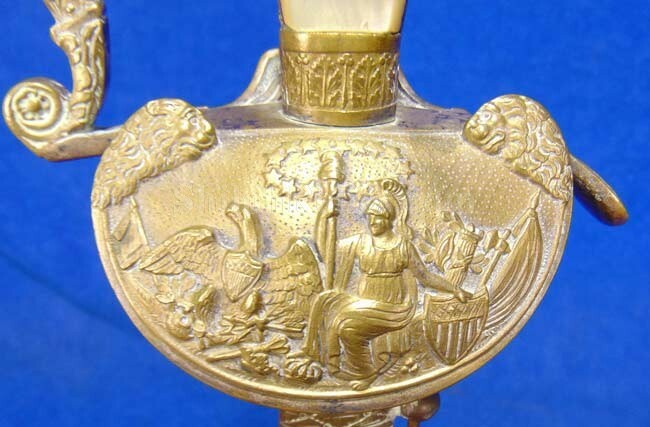 On the clamshell itself it has the seated view of Lady Liberty with one arm on her shield and the other holding up the spear with the Liberty Cap on top. 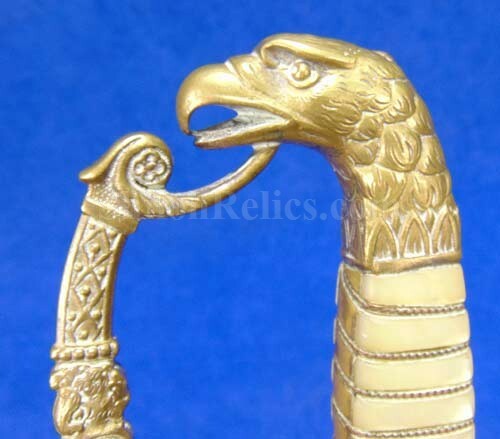 In front of Lady Liberty is the Union Eagle with the arrows of war in one talon and the branch of peace in the other. 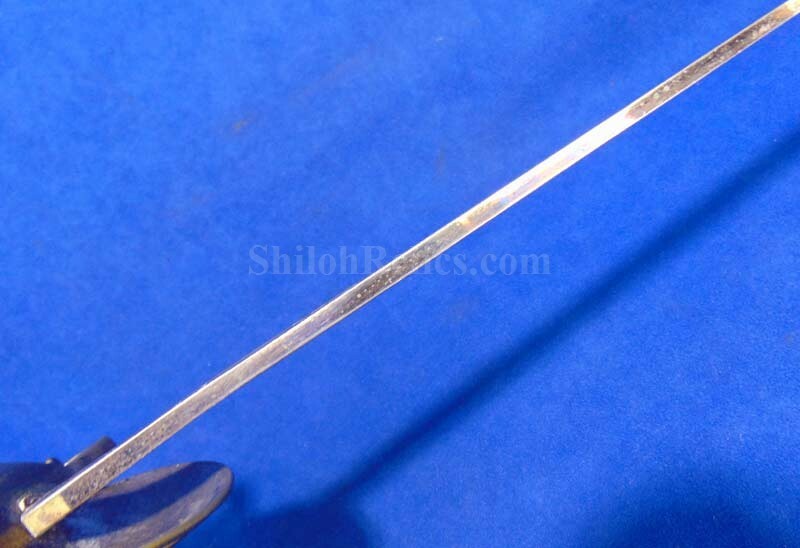 The blade is full-length at 31-1-2 inches. 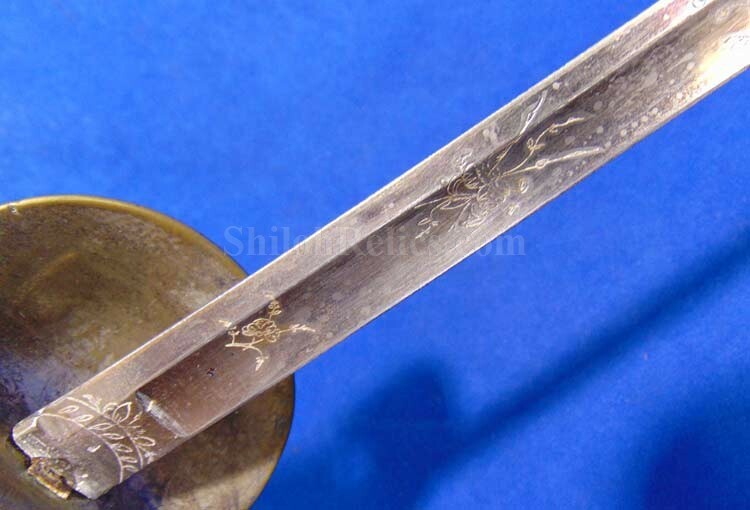 It has the original fire blue finish on each side that brings out the detail work of the blade engraving. 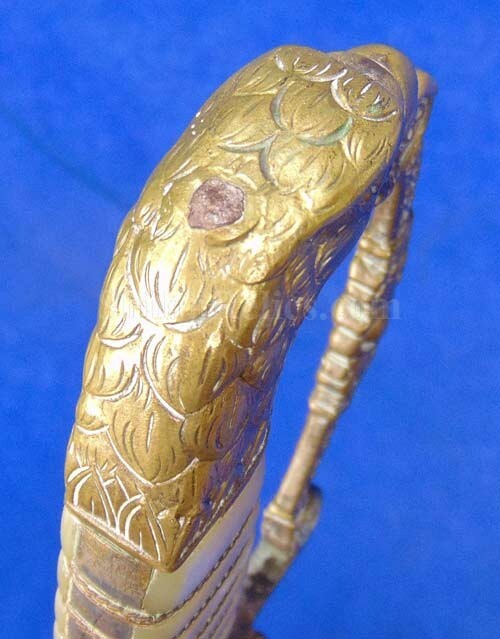 The sword is accompanied by the original brass scabbard. 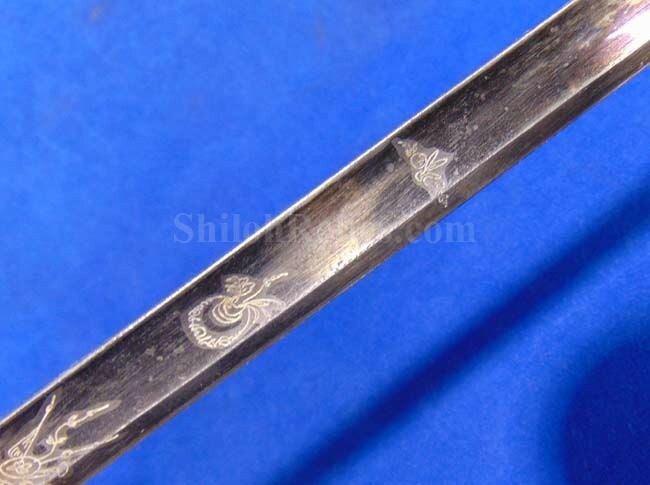 The scabbard has the engraving accents on the lower section as well as around the mount ring areas. 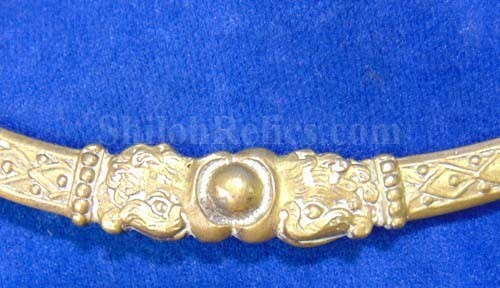 It also has the floral stud so it could be worn with a sling if the soldier so desired. 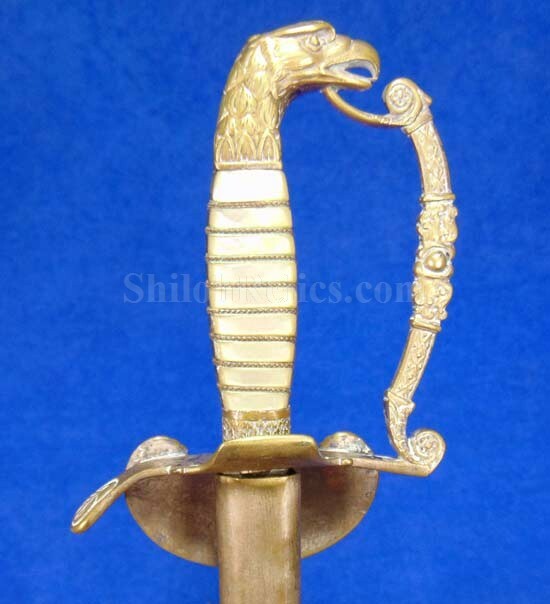 This is a great looking version of the popular eagle pommel officer's sword.